On August 21st Big Cass was injured during a Street Fight with Enzo Amore; he tore his ACL and will be sidelines until after Wrestlemania 34. The video underneath shows the moment that Big Cass tore his ACL on RAW as he went over the ropes and landed awkwardly outside the ring…. Since the injury, Big Cass has had surgery and is attending rigorous rehabilitation to repair his knee, but hasn’t made many promotional appearances for WWE. However this recently changed as he attended an interview with the Sun Herald to promote WrestleMania 34. 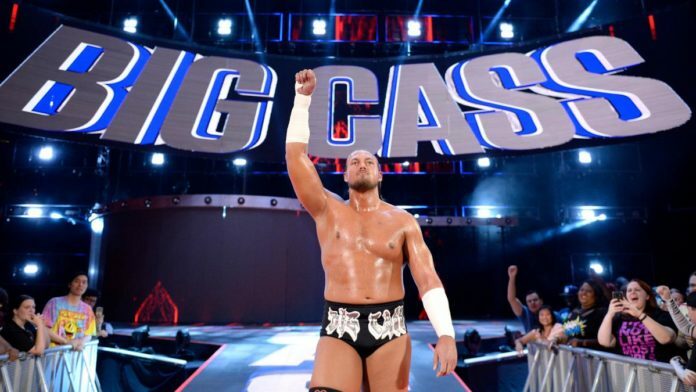 In the interview Big Cass explained his relationship with the fans of WWE and how he felt he was doing within the company. As filming began for season 7 in June 2017, the timing suggests that Total Divas could cover aspects of Big Cass’s injury, from Carmella’s point of view. I doubt she’ll be flaunting the Money In The Bank briefcase as much while Big Cass sits sidelined for 6 months. An important aspect of this is the possibility of an insight behind Big Cass’s in-ring persona. Since breaking away from Enzo Amore, he has turned heel and consistently booed by the crowd. This may give fans the opportunity to see a more realistic aspect of Big Cass that has been hidden behind strong characters and gimmicks throughout his WWE career. His initial introduction to Total Divas comes across as extremely shy and uncomfortable in the preview, but this is probably due to have cameras following him and his girlfriend around all the time. Previous articleCan Brock Lesnar Break His Survivor Series Curse? Former WWE Superstar Phil Brooks (CM Punk) recently competed in a brazilian jiu-jitsu tournament at the Chicago Grappling Games.